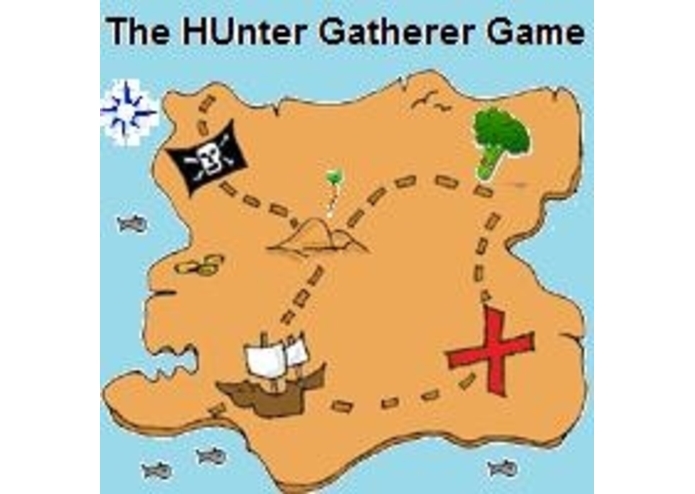 The HUnter Gatherer Game is a treasure-hunt generator. It allows users to create a fun activity for children to play that not only gets them moving and reading, it teaches them about nutrition. This web application is a mash-up that takes what some might consider boring information about nutrition and uses it to create a personalized game that is challenging and fun to play. The game can gently teach players about the benefits of eating more fruits and vegetables while engaging them in physical activity. Parents and teachers can now easily create opportunities to include information about nutrition (and soon other topics) as a part of actual play.